Modern Technology Solutions Inc. plans to offer unmanned aircraft system services in the commercial aviation market as agencies work to integrate UAS into the civilian National Airspace System. The commercial UAS sector could be worth up to $10 billion within three years, MTSI said Tuesday. 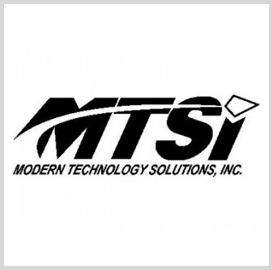 Kevin Robinson, MTSI president, said the company has collaborated with agencies and industry partners on dozens of UAS initiatives through systems engineering, integration, test, operations and certification work. MTSI plans to forge technology and investment partnerships in order to apply that experience in both U.S. and international commercial markets, Robinson added. The company has worked with agencies in the intelligence community as well as the Federal Aviation Administration, NASA and the departments of Defense and Homeland Security. More than 70 MTSI UAS staff will work in areas such as government regulation guidance, commercial photogrammetry for certain industries, training, technical assistance, flight tests and concept modeling and simulation.